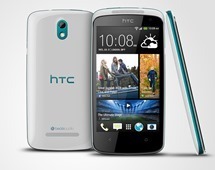 HTC hasn't abandoned the market for small phones, as shown by their One Mini at a (relatively) tiny 4.3 inches. But that's still on the premium side, and those who want both a small size and a small price need some love too. 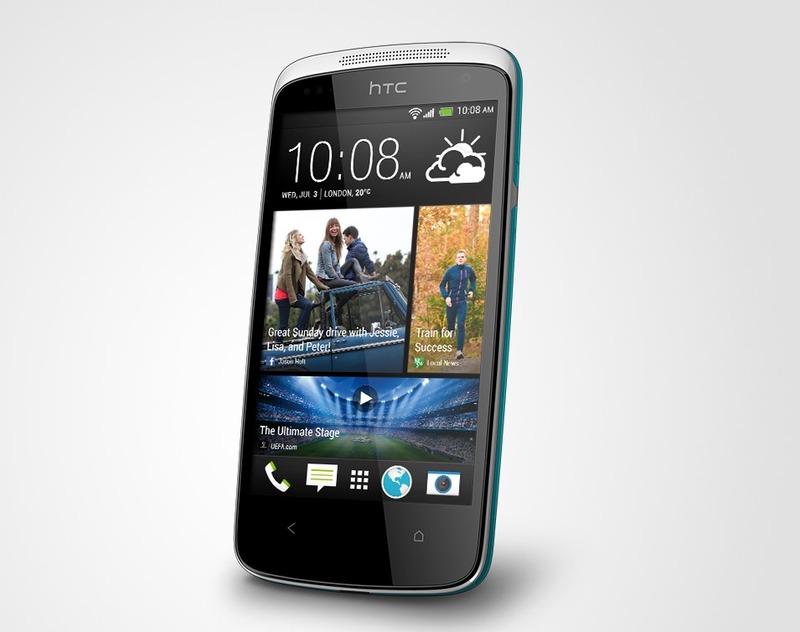 Enter the Desire 500, a 4.3" phone with a mixture of features from this generation of HTC hardware and the last one. It's currently slated for release in the UK sometime in August, but HTC has been mum on a price and wider release details so far. 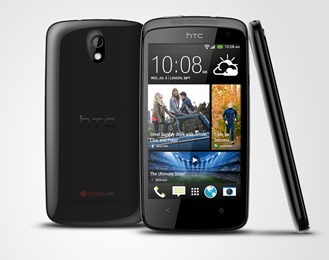 Despite its small size, the phone comes with a quad-core processor, though the Snapdragon 200 is clocked a bit low at 1.2Ghz. There's 1GB of RAM and just 4GB of storage space, but that can be augmented with a MicroSD card (thank God). The screen is a bit disappointing with a WVGA resolution - that's 800x480, in case you can't remember your Galaxy S II spec sheet. 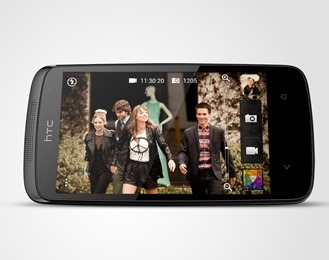 The rear camera is 8MP with a 1.6MP front shooter. Since the Desire 500 is designed with the European budget market in mind, it foregoes LTE (which is still somewhat sparse across the pond) but some markets will be getting a dual SIM version and/or NFC model. The battery is just 1800mAh, but it can be removed and replaced. The Desire 500 is a bit chunky as 131.8x66.9x9.9 millimeters. 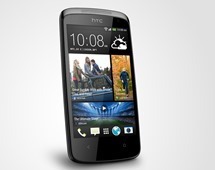 Styling is an interesting mix of the HTC One X and the newer One models - note the curvaceous body and the two-button control scheme, with the HTC logo moved to the top of the phone. Beats audio gets its compulsory branding on the back. HTC hasn't said what version of Android is included, but since it's showing off Blinkfeed, I'll guess that it's a slimmed-down version of Android 4.2 and Sense 5. 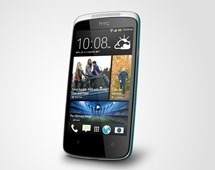 HTC has announced black and white models for the UK, with the latter trimmed in a fetching "Glacier Blue" color. The company website is also showing a similar red-on-white version. London, 7 August 2013 – HTC, a global leader in mobile innovation and design, is launching the recently-announced HTC Desire 500 in Europe. The Desire 500 is a powerful mid-range model featuring a 1.2GHz quad-core processor, HTC BlinkFeed and Video Highlights, which collates your images into a 30-second themed video reel. 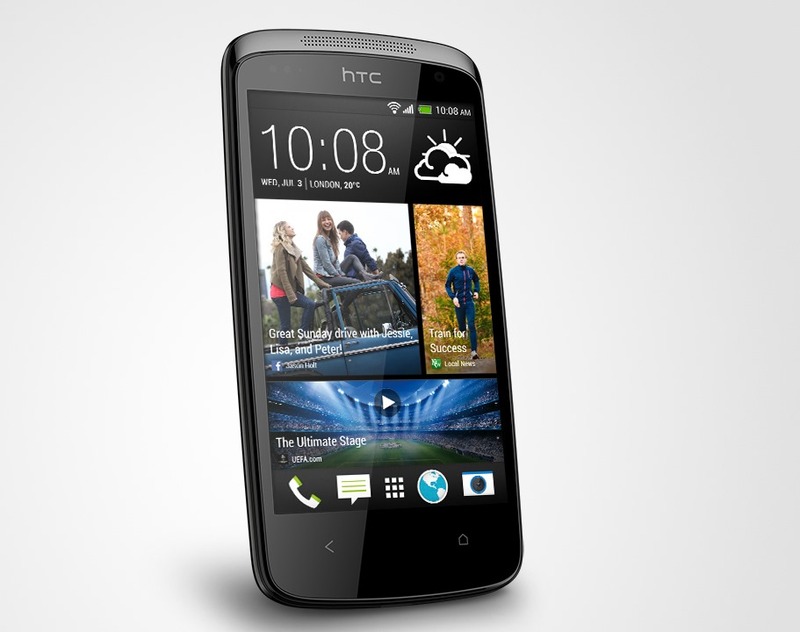 Available in the UK, with full details including stockists and launch date to be announced in due course, the HTC Desire 500 is designed for those who demand a superior mobile experience at an affordable price. 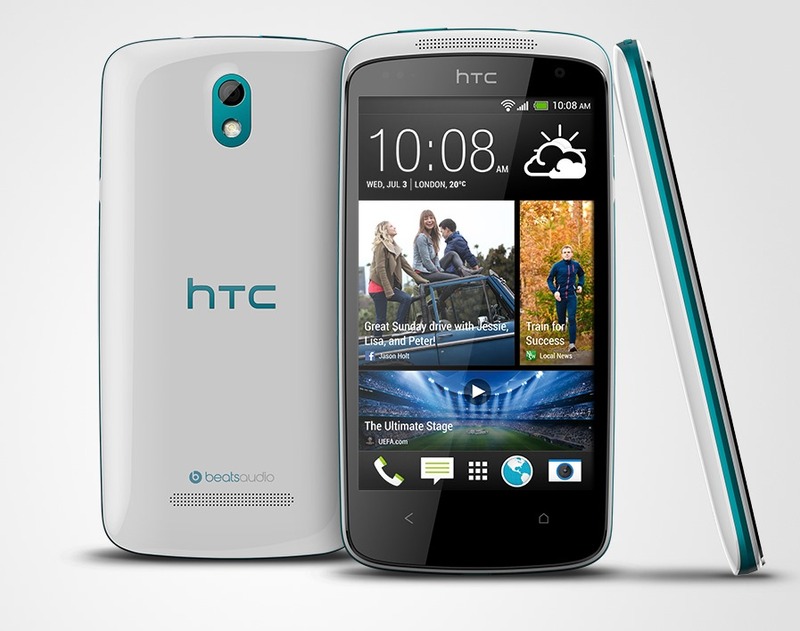 The HTC Desire 500 will be available in Lacquer Black and Glacier Blue giving it a sleek and sophisticated look.